In recent years, the concept of light pollution essentially destroying the view of the night sky has become a major issue. Children raised in urban and suburban areas have likely never seen a true image of the night sky in all its sparkling beauty. 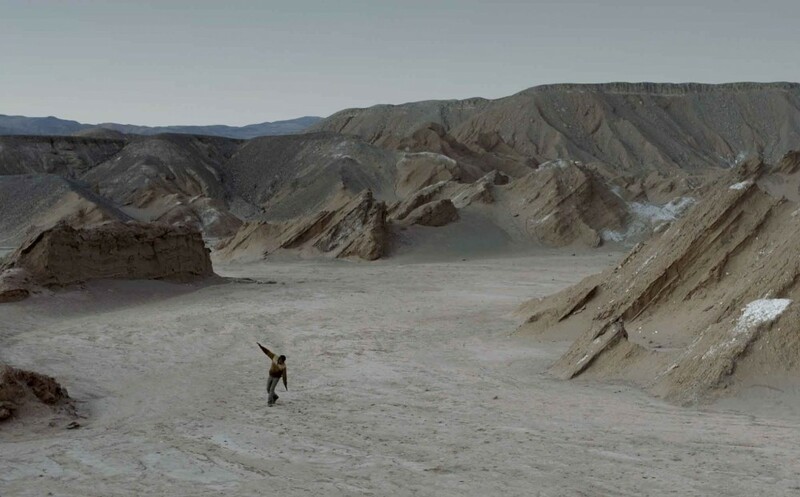 And while areas where bright lights are less present provide a better view, you’ve never seen an image of the starry nights like the views people find in Chile’s Atacama Desert. That rare chance to appreciate the beauty of the night sky lead documentarian Allison McAlpine to make her new film Cielo. 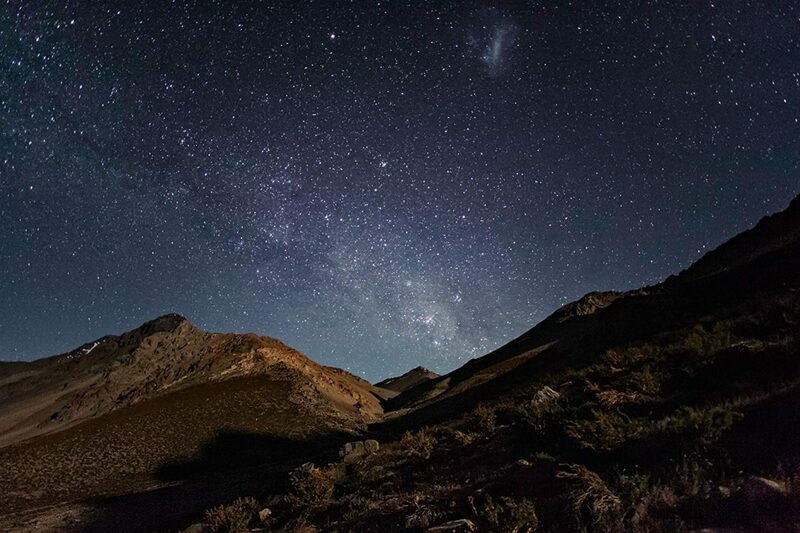 Filmed in multiple locations where the night sky of Chile can be appreciated, including scientific institutions and personal residences, McAlpine has created an impressionist documentary which combines a once in a lifetime experience to experience the beauty and magnitude of our night skies. Lesley Coffin: Where did the concept for the film initially come from? And what led you to tell the story in this non-linear style? Allison McAlpine: The initial idea for the film came to me when I was in a little village, walking at night and noticed what a clear night it was. And suddenly there was a blackout in the village, and I looked up and noticed that I’d never seen the sky, the moon and stars, so clearly. It was one of the most extraordinary moments of my life, it gave me such a sense of freedom inside. And I just laid on the ground and watched the sky for hours. And I was just flooded with thoughts, but one of the questions that came to me was, in the city we don’t have an ability to really do this. And because so many of us live in cities now, how has that loss changed our lives. And then I asked myself what it would be like to live in a village where you could see the sky. I said it was the first time I’d ever been in a place where I felt like I was living in the sky, not below it. And so that was the origin of this project, and then I heard of planet hunting and that just fascinated me. So I just followed this constellation of conservatories and found some of the Chileans who live in those parts of the country. But in terms of how to make this film and tell a story, I think of story as evocation, and I worked with a wonderful editor and we were both interested in finding ways to associatively link these characters. But were weren’t interested in making any kind of linear film, we wanted it to be slightly experimental and we edited it different ways to find the right approach. Lesley Coffin: How did you find the subjects of the film? Is there a community of people who could tell you to speak with someone else or did you have to find each subject yourself? Allison McAlpine: There are no connections to any of the people I films, so it was just a process of chance of intuition. For me, characters and landscape are my starting point, and I just had to find characters I thought could live on film and to whom I had an emotional connection to. The people who collect algae, I’d seen these child who live in huts when I was watching these desert flowers that bloom just when there’s rain. And I took a bus and asked the driver where I should go, and I found myself really welcomed by a community which lives without electricity and the closest city brings water, and I just felt almost adopted by this community and went back to see them three times before coming to film. And just being there I found people I wanted to film, because we had a good connection. Then there’s the cowboy, who I road with for over seven hours before I got to his camp with over 500 goats. And he has a very different relationship with the sky, but regardless, was a very interesting person to talk to. And I knew I wanted at least one story about a miner, because Chili has so many mines. So for the most part it was just about me telling people of the types of stories I wanted to tell and people suggesting I travel to different places or meeting with people. And I took so trips and didn’t meet anyone. Lesley Coffin: How open to you were the scientific institutions you filmed at? Allison McAlpine: I was incredibly lucky because the observatories were extremely open to me. I basically shared the idea for the project with the outreach people and they were just so encouraging and made their facilities available to me. And they’re now very excited about the film and want to show it. I’m so grateful to people like that because it’s an expense to them to invite people like me in. They’re places for scientist, but they gave me full access. Lesley Coffin: Because of the amount of travel involved, how large was your crew on this? Lesley Coffin: When you’re filming the night sky, trying to capture the moon and stars, what are the cinematic challenges and techniques you had to employ to create a similar effect to the one you described having in that village? Allison McAlpine: It was a huge challenge, and you do think of the task you’ve given yourself to try to capture the massive beautify of that night sky in a picture frame. Because that’s what you’re doing with a camera, you’re framing the image you want the audience to see. But we undertook the challenge and saw making the film as a process that required exploration and experimentation. One of the decisions we ultimately made was the rhythm the film would have. I don’t like to use a lot of time lapse because it feels too fast. So we slowed down the time lapse we had to give audiences more time to appreciate the image. We also made a lot of decisions based on where the moon was in the sky. Too little moon, you can’t see much of the landscape, and too much moon, you can’t see the stars. So we might only have one day a month that we could film. Lesley Coffin: Why did you choose to narrate the film yourself? Allison McAlpine: I initially thought of having someone else narrate it, because it was the most challenging part for me. But I was really encouraged after my first attempt to narrate the film myself. It was a new adventure for me, but my team and the sound people, and at test screenings with audiences, they didn’t give me a choice so I accepted the challenge.